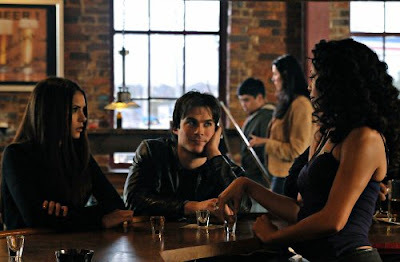 SNEAK PEEK: "The Vampire Diaries: Bloodlines"
"...'Damon' takes a trip to Georgia with 'Elena', where he surprises old flame 'Bree', enlisting her help to figure out how to open the tomb. In the process, 'Damon' comes face to face with someone who is determined to make him pay for past wrongs. 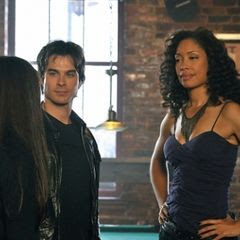 "Then 'Stefan' opens up to the grandmother of 'Bonnie', in his effort to help Bonnie overcome her fears and accept her powers. "While researching his history paper in the public library, 'Jeremy' meets a cute but geeky girl named 'Annabelle' who has her own theories on the folklore of 'Mystic Falls'. "Finally, when 'Damon' returns from Georgia, 'Stefan' is waiting with news that will change their world..."